And it wasn’t long before he/she brought along a friend. I think the fact that I raced out to throw bread to them may have had something to do with them frequenting our place. 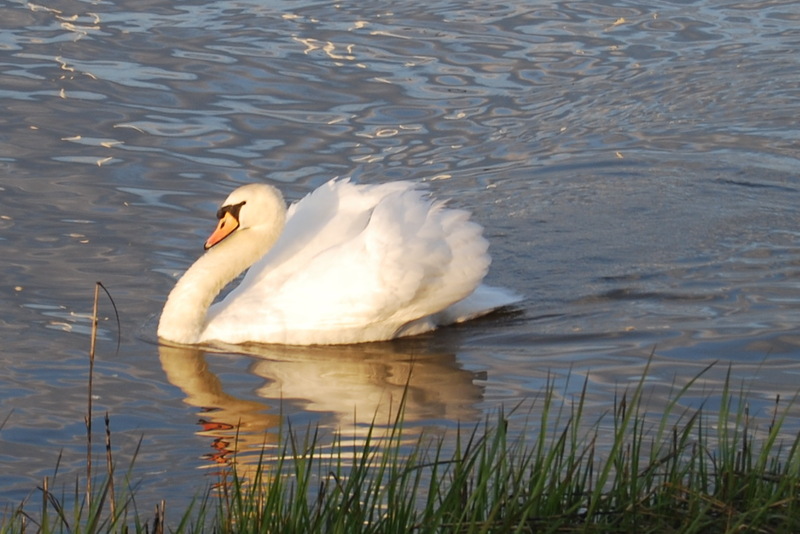 Since I’m not sure how you determine the gender of swans, I don’t know the relationship between these two. Girlfriend/boyfriend…..husband/wife…..siblings…..best friends? 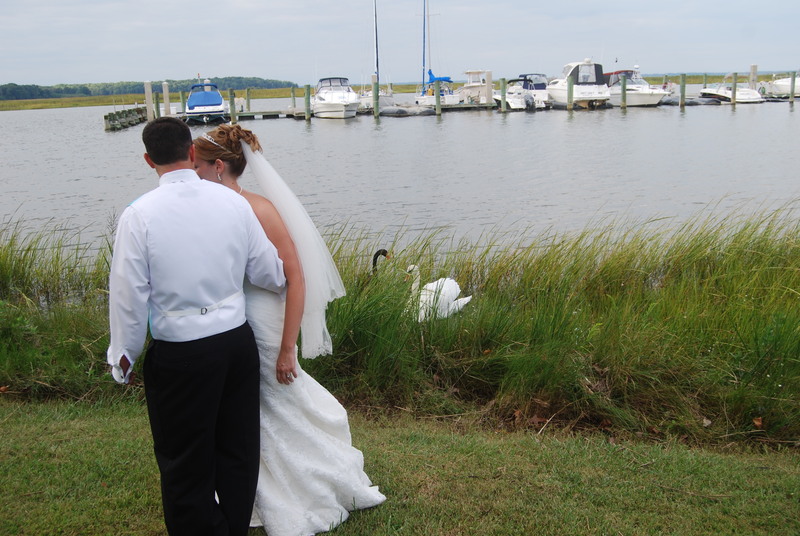 Anyway, my friend, Bev, and I were busy planning her daughter’s wedding (which was to take place on our lawn), and Bev began referring to them as the “Bride and Groom” swans. And she began wishing that they would put in an appearance during the wedding reception (also on our lawn). 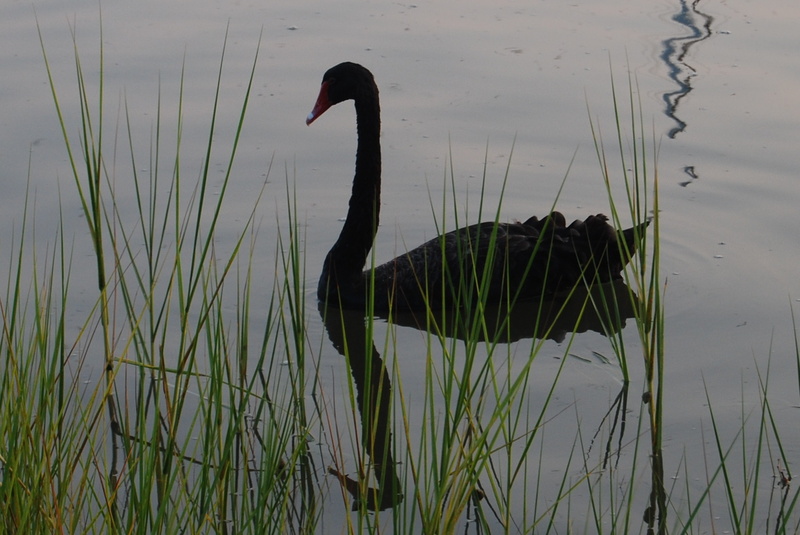 Since swans pretty much do as they please, we knew there was a VERY good chance they would not oblige her by showing up that day. Whatever the relationship of the swans, they evidently love a happy ending!